Interested in Selling your Condo in Williams Island 2600 - Residence du Cap? Williams Island 2600 condominium also known as Residence du Cap is located at 2600 Island Blvd in the shimmering city of Aventura, FL. Williams Island 2600 has incredible Intracoastal, city and ocean views and year round bay breezes, plus it is just minutes from all the amenities Miami has to offer. Williams Island condominiums are a world of elegance, privacy and international sophistication in one of South Florida’s most dazzling island settings. Williams Island 2600 features gracious condo residences with breathtaking views in all directions, and luxurious amenities that are second to none. Williams Island was established by the Trump Group to provide an exclusive, private lifestyle for individuals who are accustomed to life's finer things. This signature South Florida community of luxury homes was designed to offer all the amenities one could want in an idyllic setting. Williams Island condos development boasts a sophisticated Mediterranean design that has justly earned its description as the "Florida Riviera." Residence 2600 Island Boulevard was introduced in 1999. This exquisite building is situated on the Intracoastal with beautiful views of the Ocean, Williams Island’s beautiful grounds and breathtaking city views. Residence du Cap is known for being the ultimate in luxury and beauty, featuring 172 beautifully unique residence homes available for sale or for rent. The Williams Island 2600 has a cozy waterside position with highly convenient boat docks. Williams Island 2600 also features a largely Mediterranean influenced design with a touch of traditional touches like incredibly spacious balconies and state-of-the-art amenities. Additionally, the Williams Island 2600 condo units themselves come in a hugely distinct array of floor plans with square footage to spare. Williams Island 2600 is considered a true luxury condo, thus you’ll enjoy its first-rate luxury features. Private balconies, separate laundry rooms with a complete washer and dryer system, lovely marble flooring, stainless steel kitchen appliances and floor-to-ceiling windows round out some of the many highlights. Expansive living rooms and nine foot ceilings create wide open spaces to relax and unwind. The Williams Island amenities encompass nearly anything you can think of including an Island Club and spa, marinas and much more. The island setting of Williams Island 2600 ensures an experience that is beyond doubt unlike any other. In these gorgeous luxury condos overlooking the waterfront you’ll find both standard features and amenities like around the clock security and valet, social rooms and media center, and uncommon elements such as rooms designed specifically for the younger adolescent to enjoy and use for socializing with other young neighbors and friends. Enjoy five star features and amenities in the comfort of your posh waterfront condo home. Swimming pools sparkling with the sizzling and radiantly inimitable South Florida sunshine, fitness centers with all the latest equipment designed to get you ready to head out to the superb beaches in Miami Beach, Fort Lauderdale and beyond. Williams Island 2600 condo residents have access to all of the activities within the neighborhood. Play some sports at the Williams Island Tennis Club and Golf Course, shoot some hoops at the basketball courts, and let the kids participate in youth tennis programs, dine at Willie’s Restaurant near Williams Island 2600 or indulge your retail urges at the Island Shoppes. What makes living in Williams Island twice as appealing is having the infamous Aventura Mall a short drive away, thus allowing residents to enjoy shopping at a great number of name brand retailers in one of the most popular malls in all of South Florida. The condominiums at Williams Island 2600 offer you all the pleasures of living in the lively city of Aventura. Williams Island 2600 does not fall into your idea of ordinary Aventura condos; this building is in a class of its own! 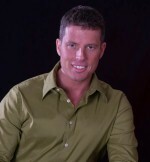 Steve Samuels is known as one of the premier South Beach Real Estate & Williams Island Aventura South Beach Condo Brokers in the South Florida market. His negotiation skills, market knowledge and no-nonsense, results-driven approach has made him one of the most sought after luxury condominium, Oceanfront, Beachfront Condos, Oceanfront Villas, and single family waterfront realtors from Aventura, Miami, to Palm Beach County. View MLS Listings for Williams Island, Aventura, South Beach, Miami Beach Condos for Sale & Rent in South Florida and Miami Beach. CondosandCondos.com is one of the Leading South Beach Real Estate websites where you can find Beachfront Condo Sales, Oceanfront Condos Sales & Rent . Search for Oceanfront Condos Luxury Condos in Miami, Miami Beach, South Beach, Sunny Isles, Hallandale, Key Biscayne, Bal Harbour, Fisher Island, Coral Gables, Ocean Drive and all of South Florida.